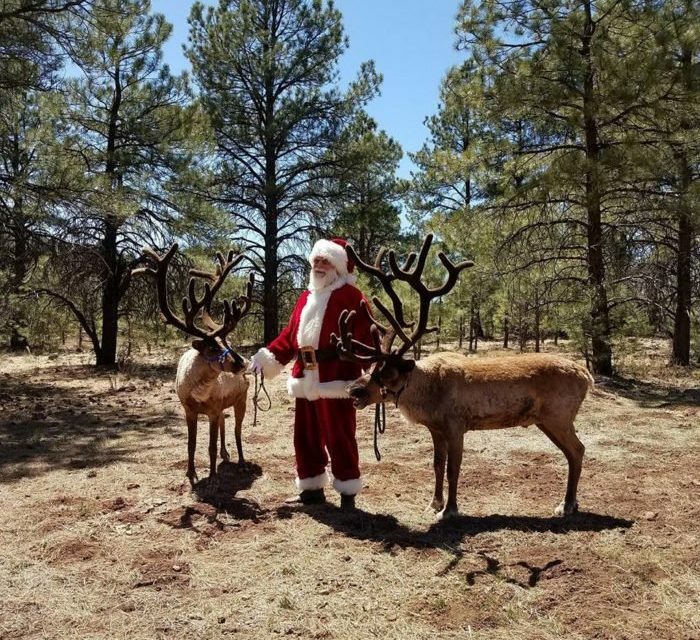 You know Dasher and Dancer and Prancer and Vixen, Comet and Cupid and Donder and Blitzen…but do you recall this reindeer farm right here in Arizona? 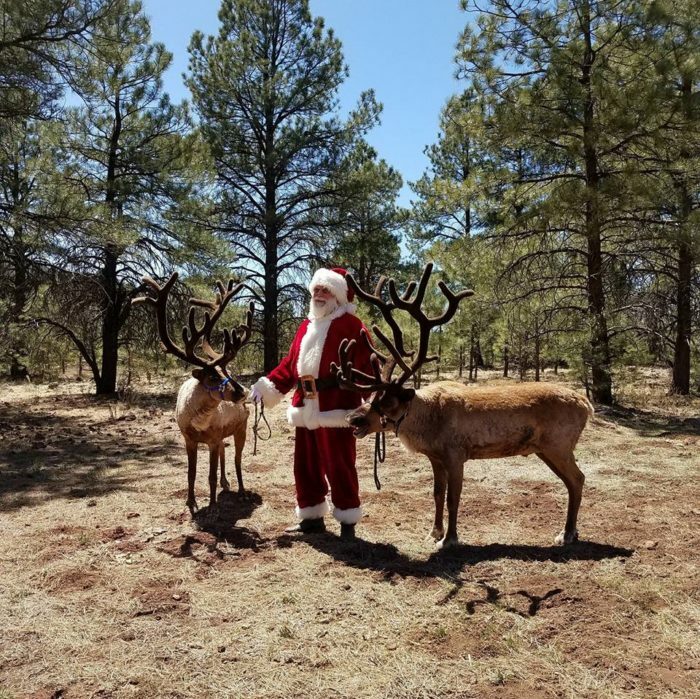 Grand Canyon Deer Farm is a unique stop along historic Route 66 that brings the magic of Christmas to life. 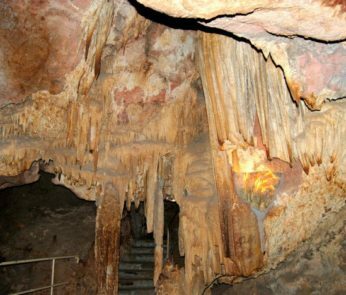 Keep reading to see what makes it such an enchanting holiday attraction for children one to 92. Open since 1969 this has to be one of the most unique stops along Route 66. 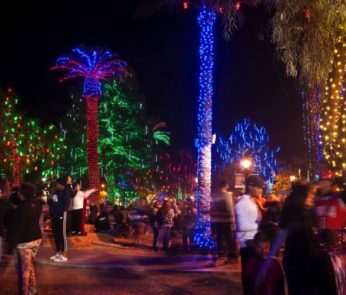 Great place to visit during the Holiday season. All of the deer are raised here from birth, so they’re well-accustomed to human interaction. Other animals like alpacas, llamas, a kissing camel, and a zedonkey are just as friendly. Children of all ages have a blast interacting with these gentle creatures. 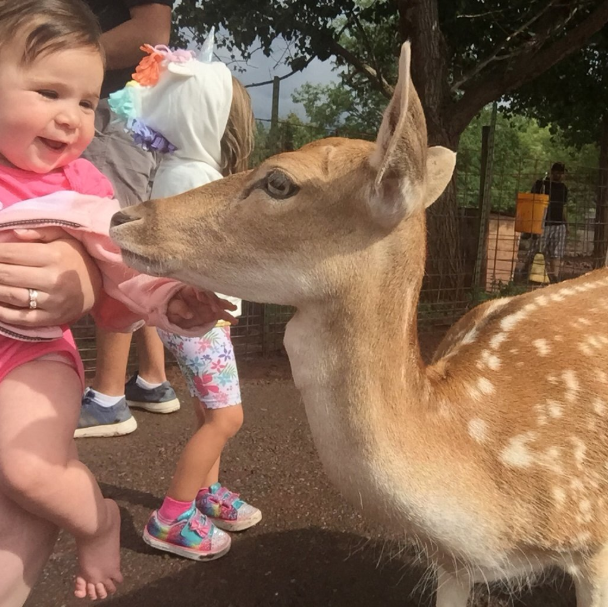 Few zoos allow hands-on interaction with so many different animals, making this is a rare opportunity to learn about nature and its inhabitants. Deer food can be purchased at several stations throughout the grounds, but beware – the clever critters will swarm you to get the first bite! They wouldn’t hurt a fly, so I guess being surrounded by so much cuteness isn’t such a bad thing. This is what makes the holidays at the Deer Farm so special. Santa pays a visit to all his reindeer, creating a scene sure to make the eyes of tiny tots sparkle with Christmas magic. 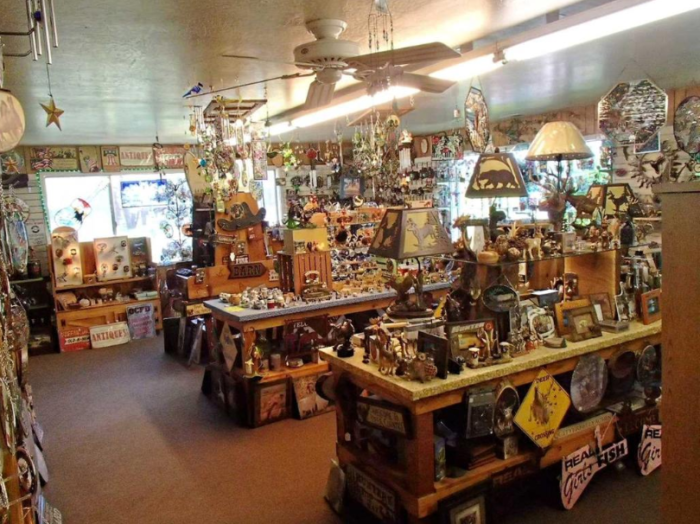 Be sure to stop by the gift shop on your way out and pick out a few souvenirs. 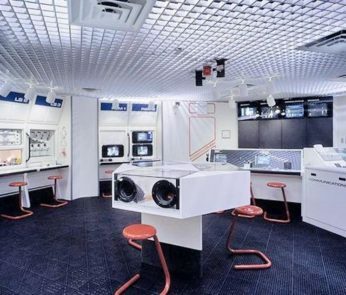 You’ll definitely want to remember this place! 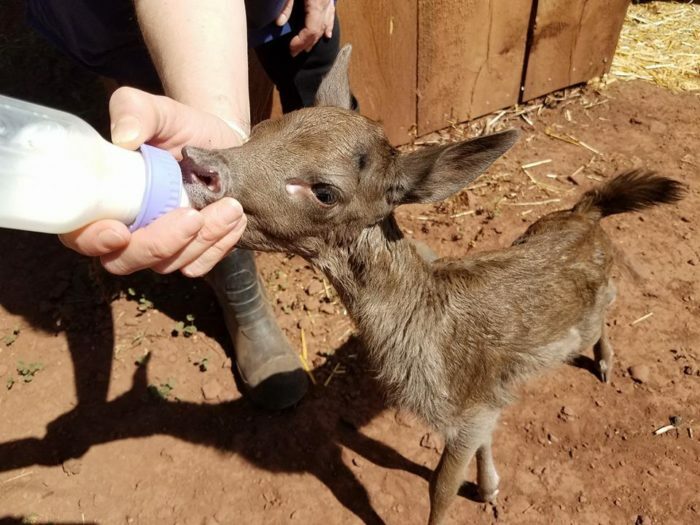 The Grand Canyon Deer Farm is located at 6769 E. Deer Farm Rd., Williams, AZ 86046 and is currently operating on seasonal winter hours; you can stop by to meet the animals daily from 10 a.m. to 5 p.m. Admission costs $14 for adults, $8 for children (age 3-13), and $12.50 for seniors (62+); however, they offer special discounts for groups of 10 or more. For more information about this unique wildlife park, visit its website and follow along on its Facebook page. 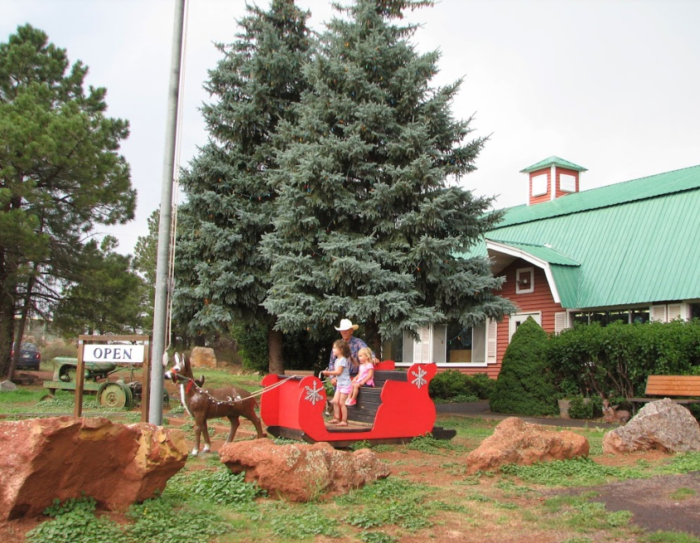 Have you ever been to Grand Canyon Deer Farm?